… are available at both locations. For further information on US Passport requirements, and what personal documents are needed to obtain a passport, residents should visit www.mercercounty.org and click on County Clerk, General Info, or call 989-6473. It is rather a matter of great importance to have the services of expediting passport because it will be useful for you in time of your need. With the help of this type of passport, you can give some acceleration to the passport application process. It is being used by man y people because it plays an obvious and vital role when people need their traveling documents in opportune time. For instance, you have to go out of the country or somewhere in some emergency then it will not be very easy for you to have your traveling documents. In this situation, you will have to use the Emergency Passports because without them you will not be able to get to your desired destination. You will not have to face any acute problem if you are using such type of passports because they are issued especially for the same purpose. If you have an intention to apply for name change, additional visa pages by mail or some other renewal then you will also make a request for having the expediting services. However, you also have another option if you are going to have a new passport then you will be able to get this passport with the help of application acceptance facility. Your this action will give you chance to reduce the duration of processing in getting the this passport and it can be 2-3 weeks. If you are willing to get a passport within some shorter duration or specifically within, 2-weeks then you will have to pay a visit to some passport agency or some other regional office. You can also make a contact with other private expeditor in this regard. If you have arranged the meeting with regional agency after sending your application then you will have a chance to get a passport very easily in your desired duration. If you are not going through the passport agency, then you will have to go to the private expeditor for getting your passport fast. You will be given different time for processing and you may also have the option of asking the passport processing within 11+ business days. This passport expediting service will enable you to get your passport on time if you have got into any trouble or problem. If you want to have your passport immediately then you can select this option for the same purpose because it is convenient. 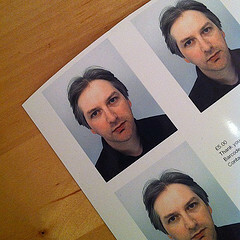 Visit www.passportexpediting.org to review and compare emergency passport or learn more about how to get a passport. Step-by-step guidance through the passport renewal process. Also important for those who need to expedite a rush or same day passport. You know where your passport it is, and it has not been damaged or mutilated. You were 16 years old or older when your current passport was issued to you. Your passport is no more than 15 years old. If your name has changed since your current passport was issued, you are able to provide official documentation that supports the name change request. As long as you meet these qualifications, you can renew your passport by mail by sending a copy of passport renewal application form DS-82, your current passport, 2 passport photos and a check for the renewal fee to the address on the application form. This will get you your passport in about 6 weeks if you pay for regular processing, and about 3 weeks if you pay an extra $ 60 for expedited processing from the Department of State. What if you need your new passport in hand more quickly? If regular expedited processing won’t cut it, you have two options: make an appointment at the Colorado Passport Agency office in Aurora or use a private passport expediting company. 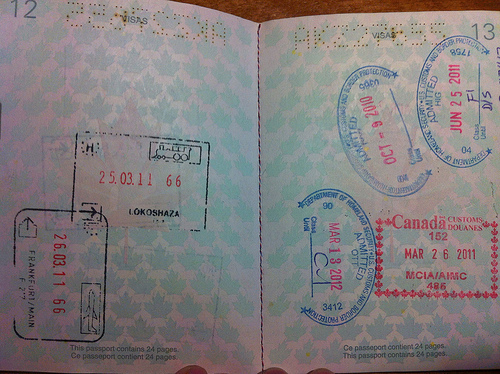 The passport agency office doesn’t serve walk-ins, so to make an appointment call 1-877-487-2778. If you don’t live near Aurora and you can’t afford to travel, or you work during the day and can’t get time off, a private passport expediting company may offer an easier and more convenient option.